We are committed to building personal relationships with prospective students and families, so that we get to know you and you get to know us. Whether you're visiting campus, emailing your regional counselor, talking to a representative during a college fair or calling our office with a question, we want to be certain that you have all the information and access to Dickinson you need throughout your college search process. Send a question to a Dickinson student at askastudent@dickinson.edu. Email davs@dickinson.edu to connect with an alumni or parent volunteer. Submit an online request for more information. Request an off-campus interview in your home area. Keep up with all the action when you follow @DickinsonAdmit on Twitter. From Facebook to Snapchat and everything in between, check out all of the college accounts in our social media directory. 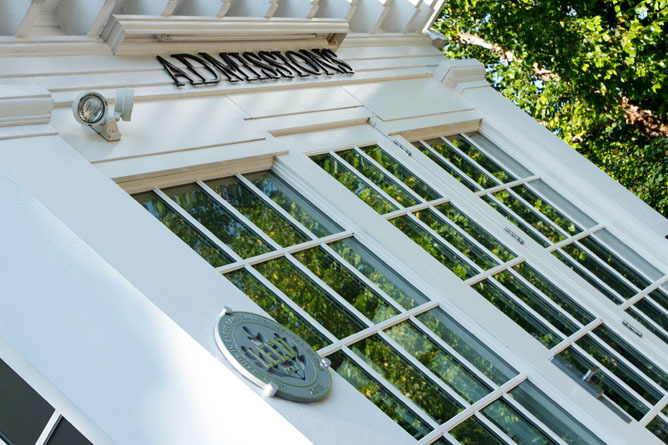 With the photo gallery below, you can get a glimpse of the recently renovated Waidner Admissions House, the dedicated members of our admissions team in action and our exemplary students, including members of the Liberty Cap Society (tour guides), Tritons (volunteers) and student interviewers. 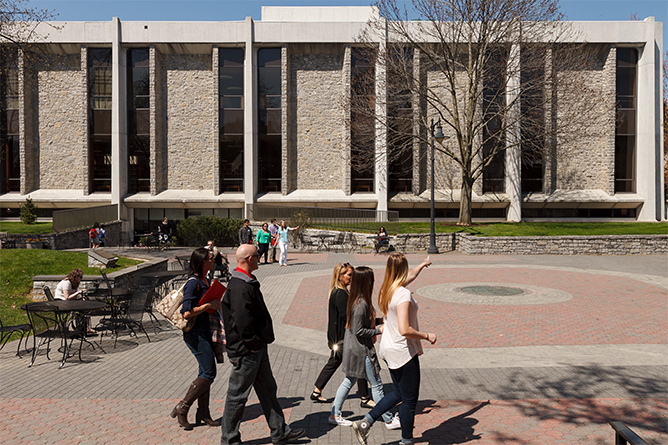 Admissions tour crossing Britton Plaza. 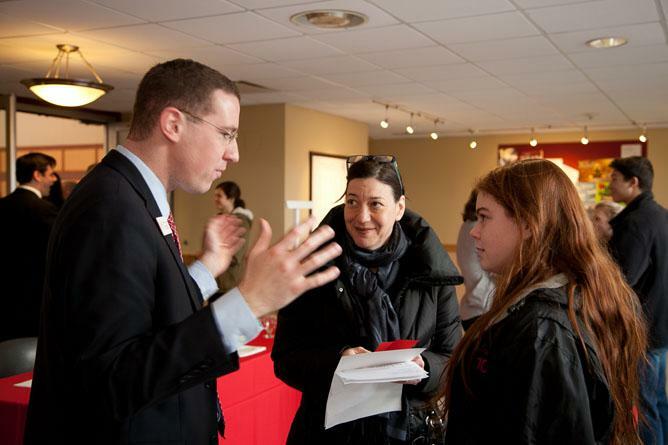 Admissions counselor Greg Moyer '06 chatting with a visiting family in the HUB. 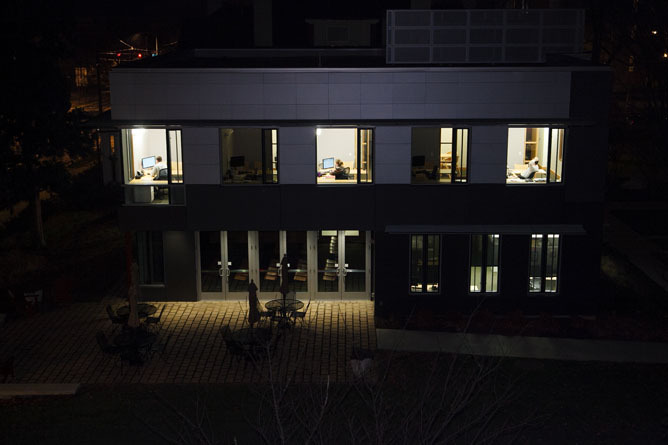 The admissions building is LEED gold certified. 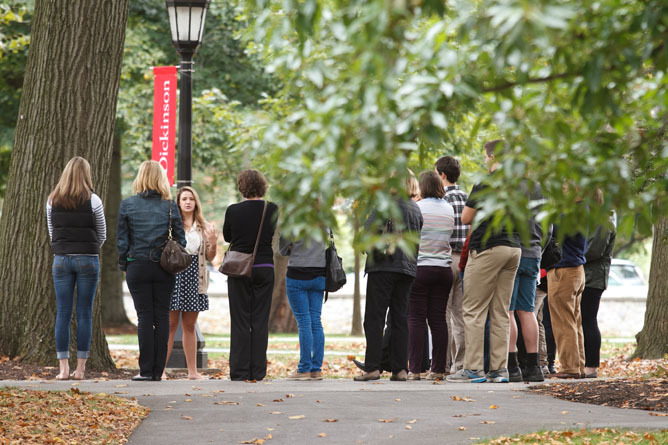 Admissions tour on the academic quad. 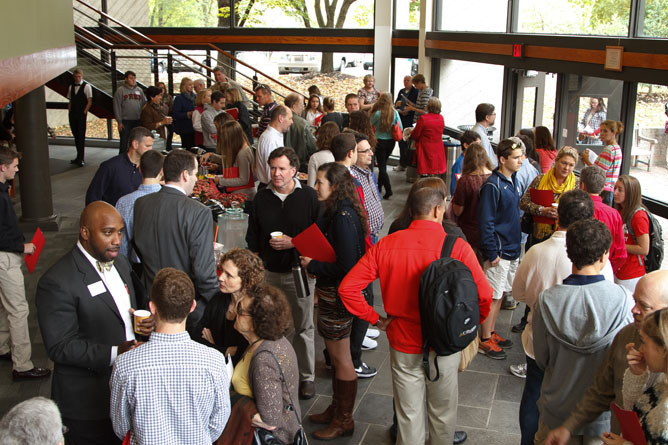 Prospective students and families mingle with admissions staff prior to the start of an open house. 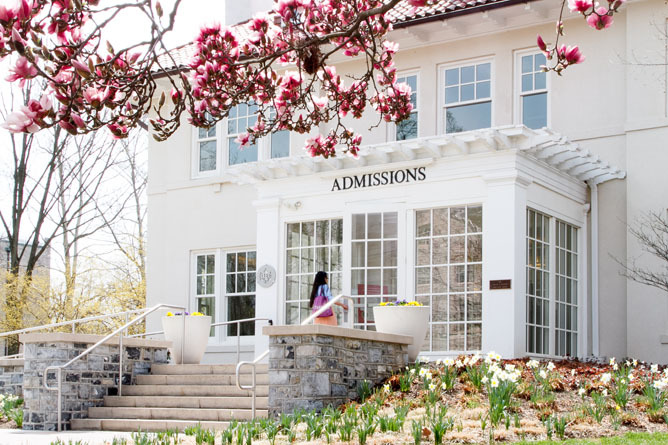 Front of admissions house in spring.